We are a short walk (approximately 10 minutes) from Hayes Rail Station. Trains are regular direct from London Charing Cross (via London Bridge) and from London Canon Street (via Lewisham). Trains to Bromley South are direct from London Victoria and also from the south including Orpington, Seven Oaks, Ashford International, and Dover Priory. 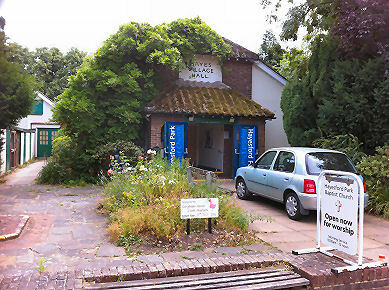 The village hall has extremely limited parking but most of the surrounding roads are free to park in on Sundays. If you are travelling by car to one of our midweek activities, please check the signs carefully where you park as many roads have restrictions at certain times of the day.